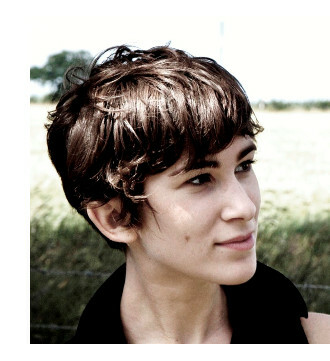 Over at Kirkus today, I talk to author Katherine Rundell, pictured here, about her newest novel, The Explorer (Simon & Schuster), coming to shelves in mid-September. Photo of Katherine Rundell taken by Blair Mowat. 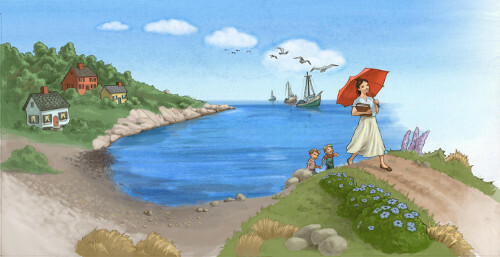 but everyone in seaside Folly Cove simply calls her Jinnee. Earlier this summer, John Rocco and I chatted via phone for BookPage about his research and illustrations for Sherri Duskey Rinker’s Big Machines: The Story of Virginia Lee Burton (Houghton Mifflin Harcourt, September 2017). 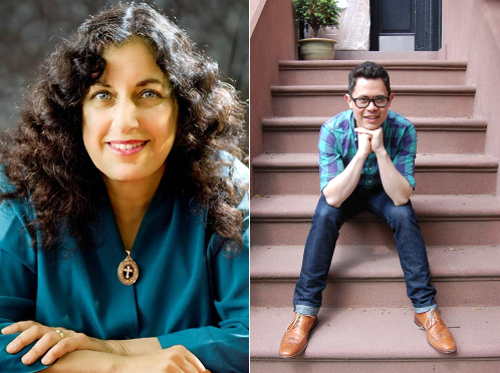 Now that the book is about to hit shelves, BookPage has posted our chat. 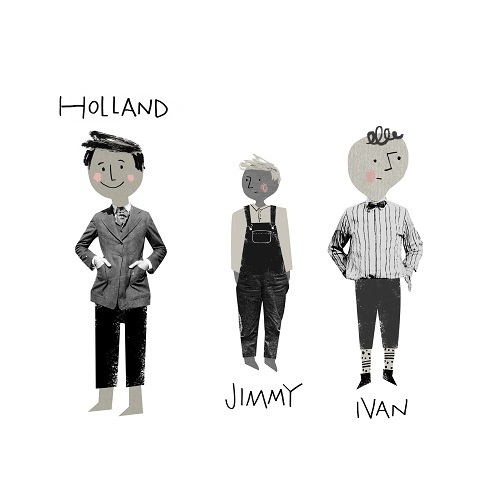 It’s here at their site, and here at 7-Imp today, John shares some preliminary images, as well as some final art from the book. 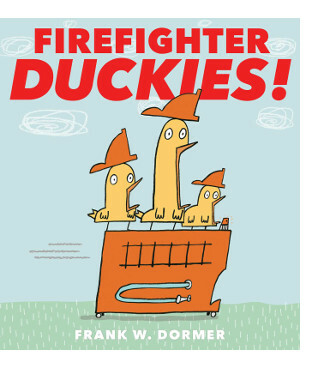 It’s a pleasure to have Frank Dormer share some images here today from Firefighter Duckies! (Atheneum), a picture book published in May of this year, which has been met with a host of good reviews. Somehow, I didn’t see this one right away, though I was eager to. When I finally did read it, I was mighty entertained. It opens, delightfully, with some “WEE-OOO-WEE-OOO-WEE-OOO”s. 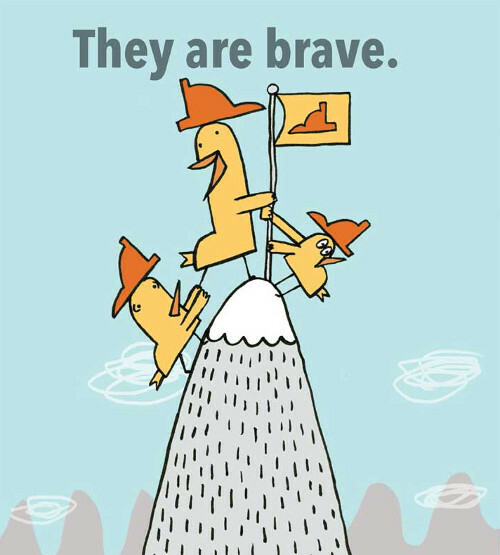 Actually, before readers even get to the title page they see that the duckies of the book’s title have had to climb out of a lovely bubble bath, all in an effort to contain some chaos, as firefighters do. A firefighter’s work is never done, right? That’s Margarita Engle I’m quoting here, who talks to me, along with illustrator Mike Curato, over at Kirkus today about their new picture book, All the Way to Havana (Henry Holt, August 2017). Next week, I’ll have some more art from the book here at 7-Imp. — From Tupera Tupera’s What Does Baby Want? — From Mamoru Suzuki’s Happy Birthday! Last week at Kirkus, I wrote here about two new books, both Japanese imports, showing (without embarrassment) babies breastfeeding, and I’m following up today with some art from each book — Mamoru Suzuki’s Happy Birthday! (Museyon), coming to shelves in November, and Tupera Tupera’s What Does Baby Want? (Phaidon, June 2017). Last week, I chatted here at Kirkus with Chris Barton about Dazzle Ships: World War I and the Art of Confusion (Millbrook/Lerner, September 2017). 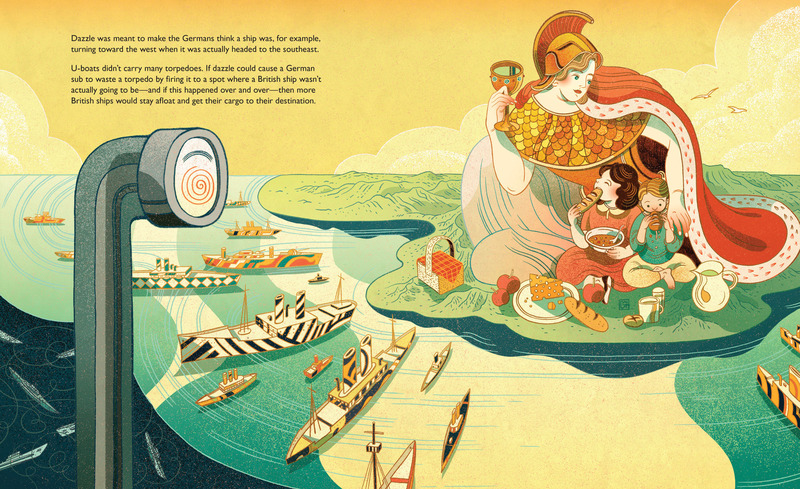 That column includes one spread from the book. 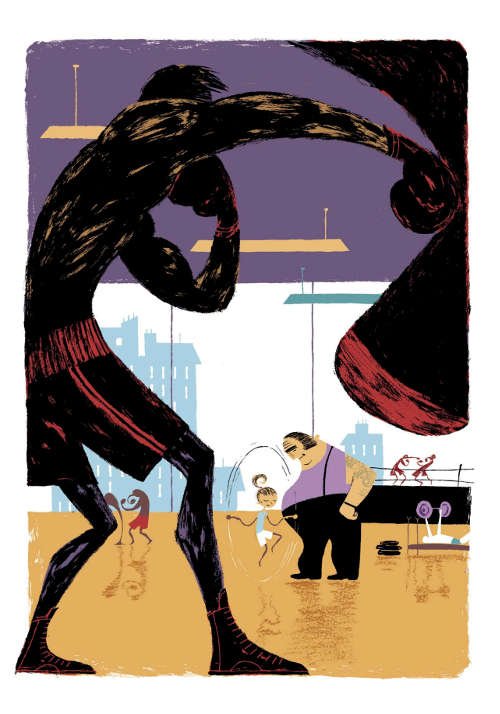 Today, I’m following up with some more art from illustrator Victo Ngai. This is her debut picture book. It’s a pleasure to have illustrator Natalie Nelson visiting 7-Imp today. Natalie’s debut picture book was released last year, and below she tells me all about that book, as well as the one that followed early this year (and one coming in 2018). I very much enjoyed each one of these books, especially JonArno Lawson’s Uncle Holland (an illustration is pictured above), and I look forward to what’s next. This morning over at Kirkus, I’ve got two Japanese imports and two sets of breasts. That is here. Last week, I wrote here about Rémi Courgeon’s Feather (Enchanted Lion, September 2017), originally published in 2012. I’m following up with some art from the book today. Enjoy! Chris Barton on Dazzle Ships . 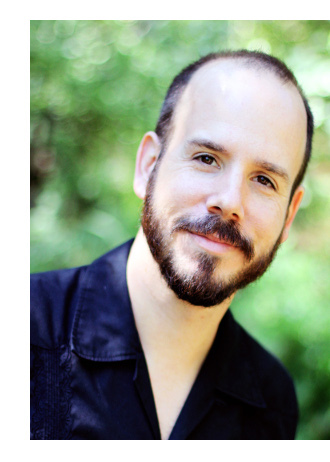 . .
Over at Kirkus today, I talk to author Chris Barton, pictured here, about his newest picture book, Dazzle Ships: World War I and the Art of Confusion (Millbrook/Lerner, September 2017), illustrated by Victo Ngai. 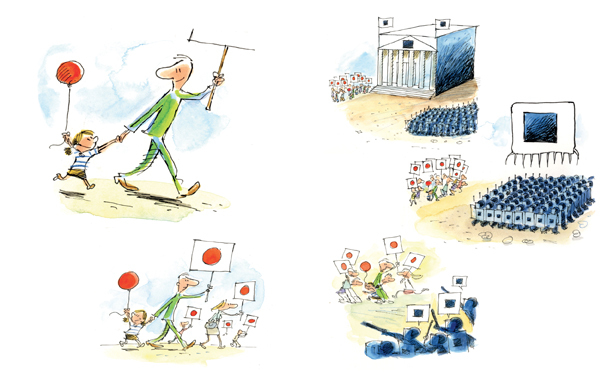 Next week, I’ll have some art from the book here at 7-Imp. Just earlier this year (here in April), I wrote about Jacques Goldstyn’s Bertolt, released by Enchanted Lion Books. I was pleased to see that he has another translated title this year on American shelves (translated from the French, as Jacques lives in Montreal). 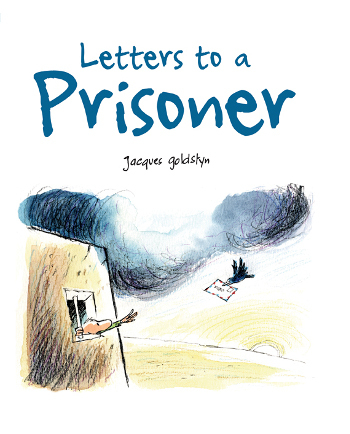 The wordless Letters to a Prisoner (Owlkids Books), originally published in 2015 as Le prisonnier sans frontières, will be on shelves in mid-September. The story, told entirely via Goldstyn’s spacious loose-lined pen and watercolor illustrations, begins with peaceful protesters. Goldstyn depicts the messages on the signs they hold via abstract symbols: Their signs have red dots, and the gun-toting military they oppose are in all blue and speak in blue squares. When violence breaks out, one man is thrown into prison. He dreams of freedom and seeing once again the child with whom he protested (I assume it’s his daughter), and he marks the days of his prison stay on his wall. When a bird brings him a letter, the guard rips it up. The persistent bird brings many more, yet the guard carries them all away and sets them afire. One striking spread shows “We are with you” in the smoke, rendered in over ten different languages. Clearly, the prisoner has become a hero of sorts, the recipient of a letter-writing campaign. The rest of the book leaves the prison walls, Bertolt showing readers the support the prisoner has from all walks of the world. And I can’t very well give away the ending, but it’s a moving one.